Tamara R. McNair-Hicks, B.A., J.D., was born and raised in Port Huron, Michigan to Deacon Thomas and Evangelist Debra McNair. She has a wonderful spirit-filled husband Cavon C. Hicks and three beautiful children, Preston, Kalea and Kailani Hicks. She graduated from Port Huron High School, and later went on to obtain a Bachelor’s degree in Communications Arts and Sciences from Michigan State University and a Juris Doctorate from the University of Detroit Mercy Law School. She was licensed as a minister in August of 2004, ordained in November 2008, and was licensed as a prophet in August 2013. Prophetess Tamara understood at a young age that she had a call on her life. During her walk, she has had many opportunities to go out and speak to diverse groups of people about various biblical subjects including; healing & deliverance, the difference between the offices of a prophet and prophesy, and interpreting dreams and visions. The salvation and healing of all people has always been one of her strongest desires, but God also gave her and her husband a heart for young married couples so together they formed Rain Fire Ministries. Established in March 2015, Rain Fire Ministries is a Prophetic/Healing & Deliverance Ministry operating out of Port Huron, Michigan. The ministry offers Prophetic Training, a Marriage Forum, and the Saturday Night Firestorm, which is the weekly Healing and Deliverance service. Recently Prophetess Tamara joined the Periscope community, and she has been effecting major change during her 5am Prayer and noon day Dreamscope. The Prophetess has also been blessed with a creative side. Through her creativity she has written gospel music that has been featured in the musical production Arise People of God Arise. She has held a lead role in several theatrical productions, including Arise People of God Arise and How to Satisfy a Thirsty Woman. 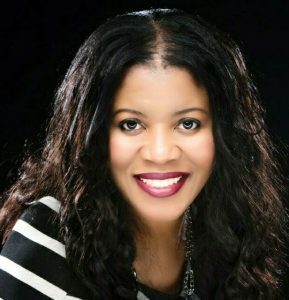 She has written a children’s novel called Snuggle Wubbles and a marriage self-help book entitled One Love: Love Letters to My Husband, as well as other plays and poetic pieces. It is her sincere belief that God has given her many gifts and talents to use for kingdom building. Therefore her desire is to serve and glorify God in all of her endeavors, and always stay open to the move of the spirit.